E. Dake Plumbing & Heating is proud to serve the Eastlake community! About Eastlake, OH - Happy to be your hometown Heating & Air Conditioning Contractor! The city of Eastlake is located in beautiful Lake County Ohio which rests along the southern shore of Lake Erie. Originally a French trading post, Eastlake grew and prospered with new settlers and transitioned from an agriculturally focused economy to retail and industry. Although many lived and worked in Eastlake, it was not officially certified as a village until 1948. Since then, the population has continued to thrive and grow in the beautiful mid-west climate to get Eastlake where it is today. Eastlake offers residents many forms of entertainment. Perhaps the most popular activity for local Ohioans is to keep up with the Lake County Captains, a minor league baseball team that is part of the Cleveland Indians Franchise. The stadium is located in the heart of Eastlake and offers families and friends a place to embrace the lovely spring weather outdoors. Other outdoorsy activities include bird watching near Lake Erie. The Ohio Ornithological Society has noted Eastlake’s unique habitats and weather patterns which allow for bird watching almost all year long. The Croatian Heritage Museum and Library honors the Croatian population in Northeast Ohio. The museum is located on grounds of the American- Croatian Lodge which hosts many banquets, events, and local businesses. Other places to take in American history include the Boulevard of 500 Flags which stands as a memorial to the 9-11 tragedy. 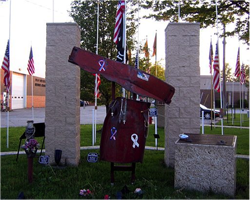 The center was erected on the 10 year anniversary of the attack and has plaques, flags, and flames that are used to honor veterans and victims alike. Whether you are looking for an enjoyable day at the ballpark or information about American history, Eastlake, Ohio is a wonderful place for friends and family to enjoy time together.